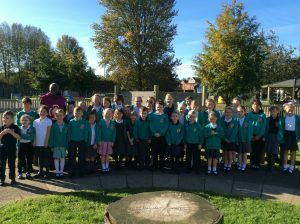 A special visitor met our children – the Archbishop of York. 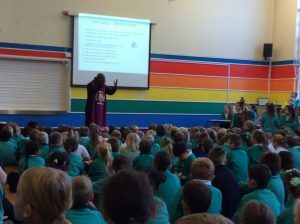 He gave out certificates to pupils in a special merit assembly whilst teaching the children to take time to listen to one another, trust one another and care for one another. Our choir and orchestra also performed including singing some African songs alongside the rest of the school.